KUALA LUMPUR, Feb 27 — Some foreign workers who were mainly in the construction and manufacturing industry have abused their work permits by taking over the small business sector, the Immigration department said. A report by Malay daily Utusan Malaysia said over 8,903 foreign workers were nabbed through Ops Mega 2.0 from early this year to Sunday for different offences, including running a business, which is illegal by law. Immigration director-general Datuk Seri Mustafar Ali told the local daily that premises allocated by local authorities for the locals were rented out to foreign workers to run their businesses as a means for the locals to get extra income. 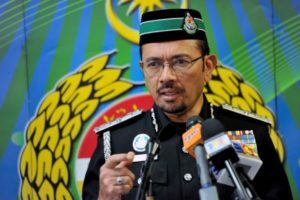 “There are other locations that had been identified as well where illegal businesses are held, such as Jalan Bukit Bintang, Jalan Silang, Lembah Pudu, Jalan Petaling and Pasar Borong Selayang. “We urge for the local authorities and the Companies Commission of Malaysia to take stern action to curb from this issue from going rampant,” he added. As to date, Mustafar told the local paper that 41,542 checks on foreign workers were conducted in 3,499 raids throughout the country. He said 187 employers were also detained for different offences, including hiring illegal foreign workers. “From January 1 to Sunday, 7,705 illegal foreign workers had been deported out of the country. “The Immigration department will continue conducting the operations and raids proactively to track the errant foreign workers and employers, who have been ignoring our warnings and continue to go against the law,” he said.